Bei way of another ebay purchase I picked up a booklet containing the appendix for DV 605 "Guterbefoerderungsvorschrift I" which describes in intricate detail how freight is supposed to be handled on German trains by Deutsche Bundesbahn. 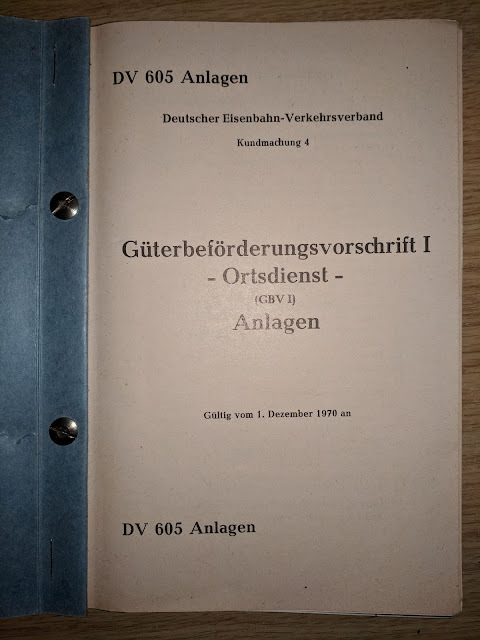 The Appendix has all the forms to be used to identify and route the various types of freight in Germany in the early 1970s. When I made car cards for the Welztalbahn, I relied on various Internet finds that were "close enough" for my purposes to make progress. 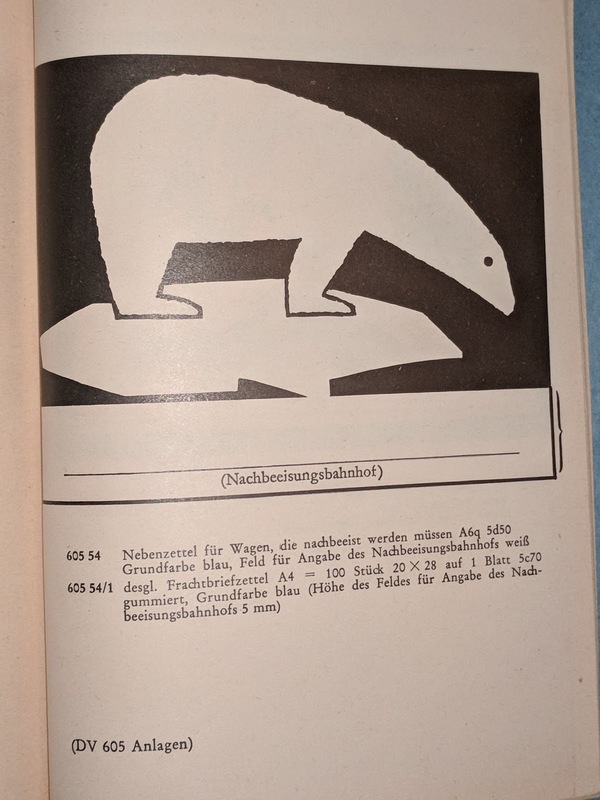 This booklet has the forms as used during the exact time period the Welztalbahn is set in. There are various variations for Hauptzettel depending on purpose and destination. E.g. Express LCL shipments, express freight, and regular freight use distinctly different forms. International shipments have extra markings for customs handlings. There are forms for weighing cars. Forms and markers for perishables. To my surprise there's even a form for re-icing (DV 605 54) which seems oddly appropriate. More detailed study will be needed to use this to its full potential. For now I'm just happy that I have it. I wrote a post with various examples.